Introducing the newest addition to our lovely collection of wooden modern furniture. 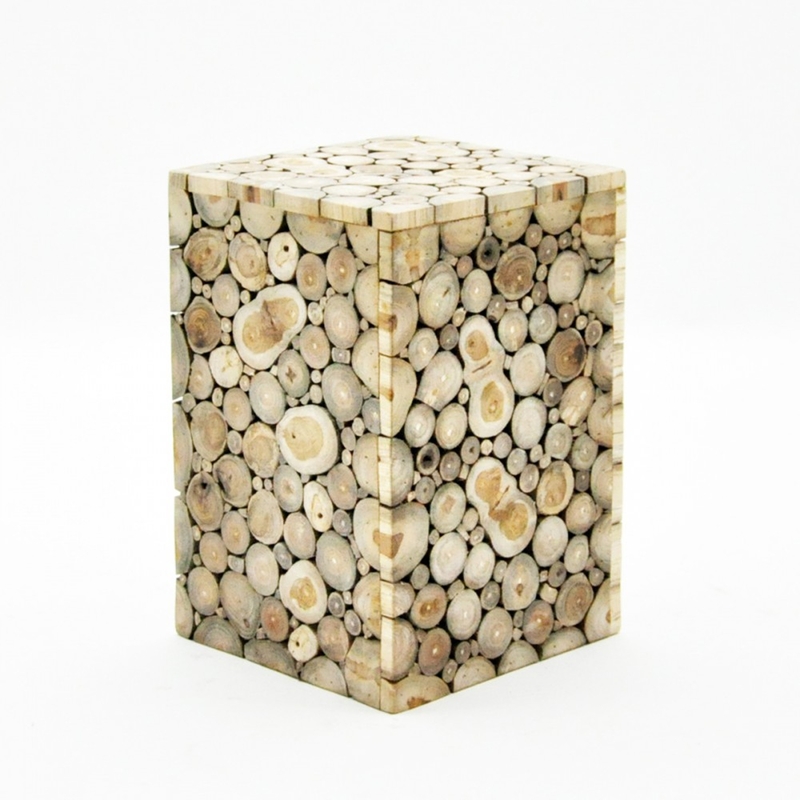 This beautiful Wooden Square Stool features an array of layered logs on the base of the stool giving it it's modern feel. The beautiful contrast of colours from the logs makes this stool easy to fit into any existing interior and give it an instant upgrade.